How many bees do you think are here ? 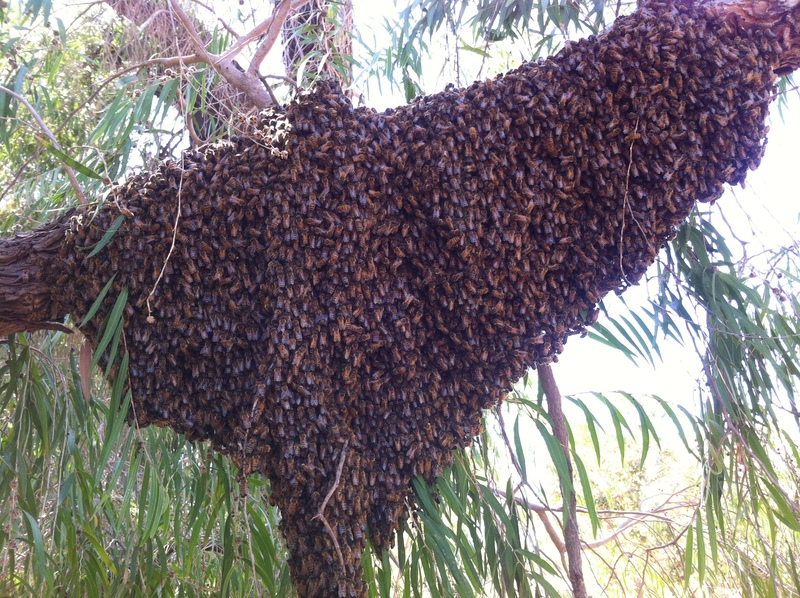 This large swarm appeared on a hot day at the end of summer. These beautiful creatures are often seen at this time of year (summer) accessing sand and water to make their distinctive igloo-looking mud mounds containing their young. Take A Close Look At A Bee Swarm. A very poor video of something largely invisible to the camera phone. Even the sound doesn’t come through very well. However, at the end you can see the two drones on the ground which indicates what was going on. A pity I didn’t have a good camera with me. Actually even the camera phone playback seems to be clearer than this rendition from You tube. 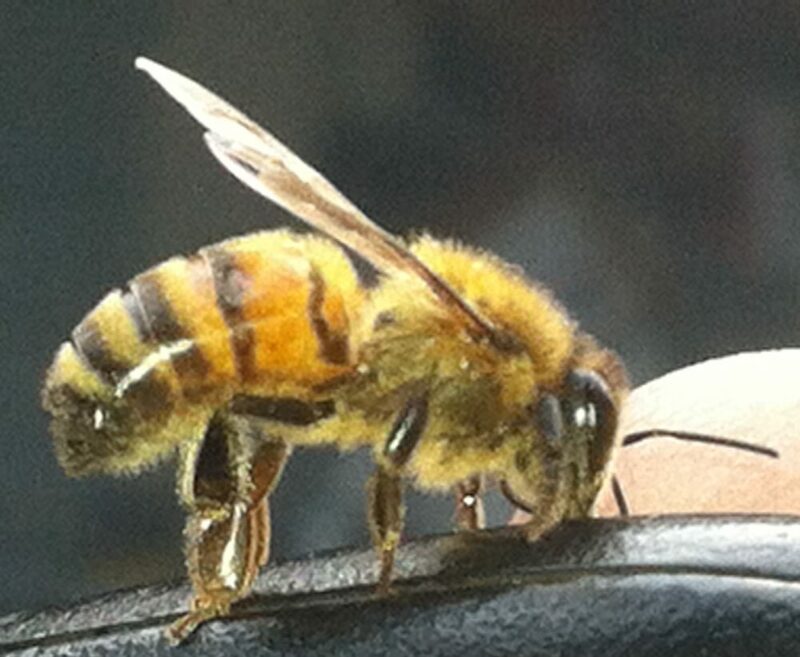 I’ve written previously about drones and the way they congregate in zones in anticipation of meeting and mating with virgin queen bees which also know where they need to go in order for the furtherance of the bee specie. Well, the other day, as I was collecting a bee swarm lure from a tree in a well known park , I came across the phenomena of a drone zone in action. The first thing noticeable about the event was the obvious noise of bees in the air. It seemed as though there was a bee swarm on the move, the humming so loud. It wasn’t a swarm, however. It was some very active drones flying at speed chasing queens that had emerged from hives close by and which were the newly hatched virgin queens taking over the role of the previous queen which had, true to form, flown away with many of the older bees to start again somewhere else. I tried to capture the goings on with my camera phone but alas it is very difficult to see them on camera even though I, myself, could clearly see distinct groups of drones chasing down a queen. Of course, once a drone has succeeded in mating with a queen (on the wing) he then descends to earth to die as his reproductive organs and its contents are torn out in the act of fertilizing. At the end of my video you can see two drones on the ground writhing in their death throes. It is quite common for many drones to fertilise the same queen and thus produce different species within the same hive once the queen starts laying eggs. I’ll give you a clue as to where you will see a cluster of drones about three quarters of the way through the video.